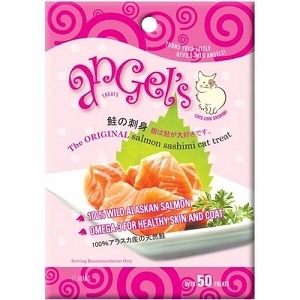 Delicate, light and irresistible, Angel's Salmon Sashimi Treats are made from 100 % Wild Alaskan Salmon. Freeze-dried for freshness, these all natural gourmet treats are free from artificial additives making them "Holistic" and "All Natural". 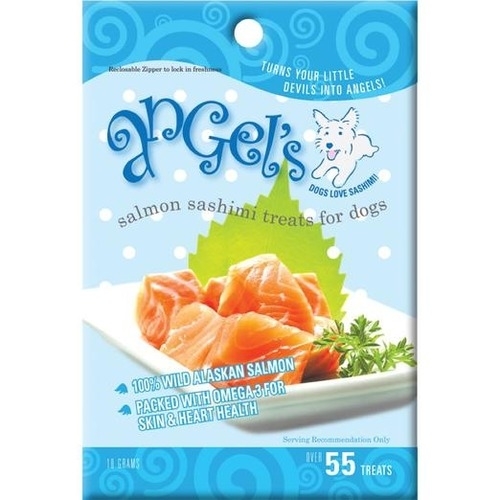 Rich in Omega-3 and power packed with protein, this is one guilt-free treat your dog can indulge in. Add a handful of treats to your dogs' regular diet to enhance taste and to boost daily omega-3 intake.